Jerry Garcia: The Collected Artwork is a profusely illustrated showcase of and appreciation for Jerry Garcia's art, life, and creative spirit. 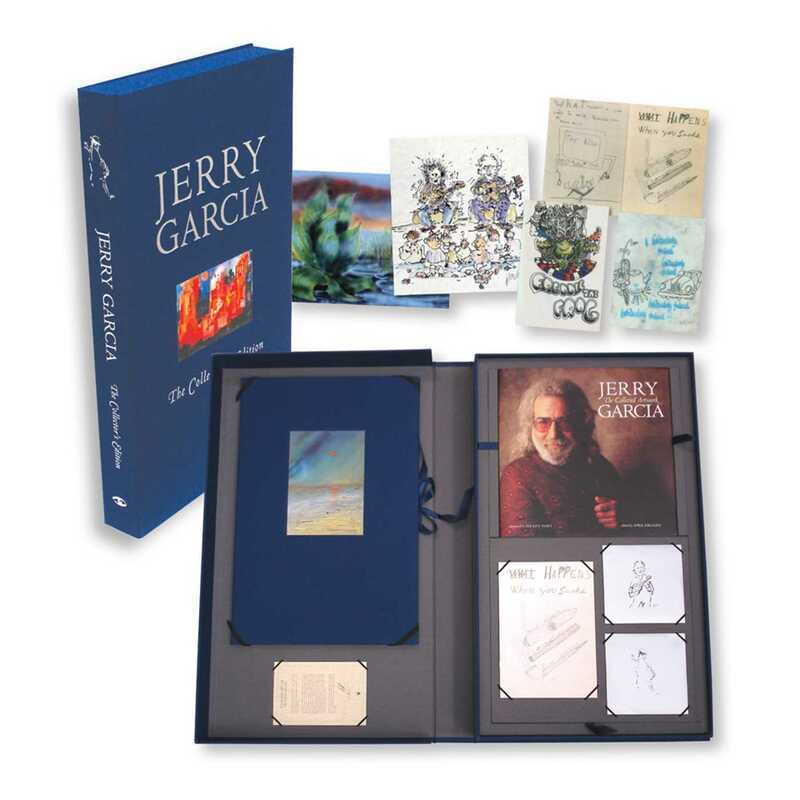 The book opens with a foreword by Grateful Dead percussionist Mickey Hart, and features more than 100 full-color reproductions of Jerry's paintings, drawings, and prints. This historic presentation of his distinguished body of work, from pen-and-ink drawings to acrylics, watercolors, and digital media, is at once a stunning art book and an intimate and playful celebration of his creativity. Edited by April Higashi, art curator and archivist of the Jerry Garcia Estate, each chapter opens with a commentary on the art presented in the context of Jerry's life and times. Punctuating these essays are interludes illustrated by candid photographs, featuring interviews, anecdotes, and remembrances by key cultural figures as well as those closest to Jerry, including Bob Dylan, Patti Smith, Herbert Gold, Baron Wolman, jon Carroll, Paul Pena, Victor Moscoso, Carlos Santana, Grace Slick, and members of the Garcia and Grateful Dead families.